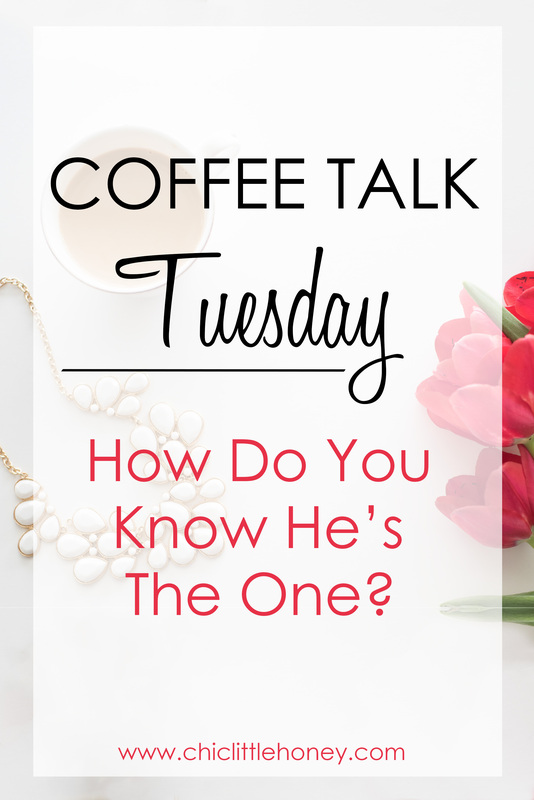 Coffee Talk Tuesday: How Do You Know He’s The One? Welcome to a brand new series on Chic Little Honey! Coffee Talk Tuesday will appear on the blog every Tuesday between 9 am and noon for you to enjoy while you sip your morning coffee or nibble on your brunch. Think of this as my girl chat time with you to discuss fashion, boys, friendships, parties, girl problems, and more. 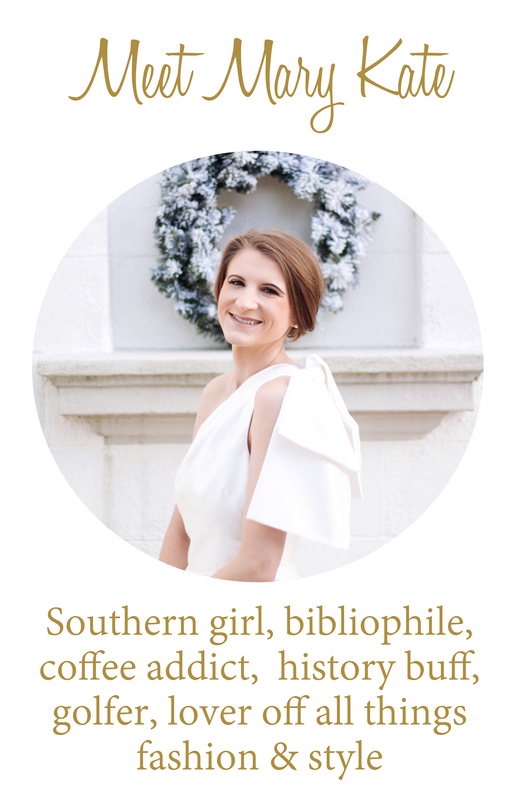 If you want a real girl chat with me, don’t forget that you can always email me at chicandsouthern@yahoo.com. I will start out by saying I am by no means a relationship expert. I have been through several failed relationships, some of which were so dramatic, they deserved their own show on MTV (here’s an example: one of my exes cheated on me with a stripper who was married to a pimp. Yeah.). However, instead of regretting these relationships, I’ve chosen to learn from them. With each relationship I threw in the garbage where they belonged kissed goodbye, I took away a love life lesson that eventually helped me realize that my current boyfriend, Colton, is the one for me. Here’s the low-down on my relationship. Colton and I met at a bonfire Halloween party in 2014. It was almost love at first sight! A week and a half later we were “official” and we’ve been together ever since (1 year and 9 months). He lives about an hour away from me in a little town I’d never heard of until I met him. We spend every weekend we can together, taking turns driving to his hometown or mine. Over the past almost 2 years, we’ve had countless discussions about where we see our future and yes, we decided that we will get married within the next 5 years. For the time being, we’re content dating and spending as much time as we can together. Ok, now to the love life lessons. Let it be known that I’m a hopeless romantic. Let it also be known that I’m not the Nicholas Sparks/50 Shades of Grey type of romantic. I prefer my romantic novel heroines to have a little more gumption. In the beginning of my freshman year of college, I found a book in the library called As You Wish. It’s a light read intended for high school readers, but I picked it up anyway. I think I finished it in one day, but the story stuck in my mind. The heroine of the story, Viola, feels broken after her romantic relationship with her best friend ended after he revealed to her that he’s actually gay. She feels like she won’t be whole again until she finds a new boyfriend (silly, I know, but stick with me). Enter Jinn, a genie bound to grant any three wishes that her heart desires. Her first wish, of course, is for the most popular boy in high school to fall in love with her. “As you wish,” Jinn says, and it happens. Viola quickly finds out that a boyfriend won’t fix her insecurities and make her truly happy. She still doesn’t feel whole. As she becomes friends with her reluctant genie, she realizes that she was whole to begin with. We are all whole. But there are some people who make us feel more whole. They attach to us like a puzzle piece and when they’re gone, it’s like that piece has been broken off and torn away. We’re still whole, but less whole than we used to be if that person is gone. And yes, I recently bought this book on my Nook. I’ve lost count of the number of times I’ve embarrassed myself in front of my boyfriend. Whether I’ve put my foot in my mouth, messed up at work, made an error of judgement, or just done something silly, he doesn’t judge me. Instead, he reminds me that it’s okay to make mistakes. He helps me laugh off the silly things and correct the ones that need correcting. He doesn’t make fun of me or hold it against me in a fight a month or two later. He helps me live, let live, and let go. I was so hesitant to open up to Colton about my blog in the beginning stages of our relationship. My worry was that this country boy, who doesn’t know the difference between Alexander McQueen and Alexander Wang (or even know who they are), would laugh at the fact that I have a website solely for the purpose of recording the outfits I wear. But he didn’t laugh. Instead, he began to offer to take pictures for me when we’re together. He patiently waits while I get the perfect shot of our Chipotle or coffee. He’s proud of what I’ve accomplished and he expresses it almost every day. Don’t want an Instagram boyfriend/husband? Perfectly fine! The point is that he is willing to support your hobbies, passions, and goals. He won’t roll his eyes or complain about supporting you, privately or publicly. This relationship is the least stressful one I have ever experienced. My previous two official relationships ended with lies and cheating (on their part) and the guy I dated right before I met Colton was mentally abusive. Needless to say, my trust issues are larger than life. But then Colton appeared in my life. He was patient and understanding of my difficult love life past. Most importantly, he never makes me doubt what he says. If he says he’s with his friends at a bonfire, he’s there. If he says he’s at his wood-working shop, he’s there. If he says he’s not flirting with any other girls, he’s not. I trust him to tell me the truth and to not go behind my back. He’s never given me a reason. I trust him. Oh, I love this! I’m so so happy you found someone who loves you for who you are! This is so sweet! I wish y’all the best! Thank you so much Sally! He’s a very special man. I have to say amen to that. Your boyfriend sounds very sweet and uplifting! I’m glad it was! Thanks! This is so sweet and true! Definitely being able to be your absolute self and embarrass yourself in front of that person is huge! Especially for me, because it’s like a daily occurrence. Sounds like you two have a great relationship! Thank you so much! I definitely do some pretty embarrassing stuff (I run into walls on a daily basis) so having someone who won’t laugh at me is a definite must. Sounds like you found a keeper!! I recently got engaged, and I agree with all of these things! I might also add that constantly learning from each other is another sign of a great relationship. Colton seems like such a sweet guy and I’m so happy that you’ve found the one! I definitely agree with you. Thank you so much! And congratulations on the engagement!